Advanced Engineering has announced its ranking of the UK’s top high-value manufacturing hotspots and congratulated Sheffield on securing top spot. Sheffield narrowly beat last year’s winner – Bristol – by just two points. The highest new entry this year is Cambridge, which comes in at number 4. Other new entrants are Northampton, Poole, Telford, Swindon, Banbury and Chesterfield. The biggest improvers in the table since last year were Milton Keynes, which moved from 10th to 3rd; Nottingham, which moved from 8th to 5th; and Leicester which moved up three places from 16th to 13th. Advanced Engineering 2018, which takes place on the 31st of October and 1st of November at the NEC Birmingham, is the UK’s largest annual gathering of advanced engineering professionals. It connects the entire supply chain of the UK’s advanced engineering industry with R&D, design, test, production and procurement from large and small companies, through to top tier industry players in a two-day free to attend exhibition and high level conference. The show brings together over 700 companies, as well as more than 15,000 engineers, procurement managers and senior decision makers from large and small companies – all looking to source, specify and invest in the most up-to-date products and explore the latest industry innovations. Advanced Engineering 2018 includes six co-located zones under one roof: Aero Engineering, Composites Engineering, Automotive Engineering, Performance Metals Engineering, Connected Manufacturing and – new for 2018 – Nuclear Engineering. 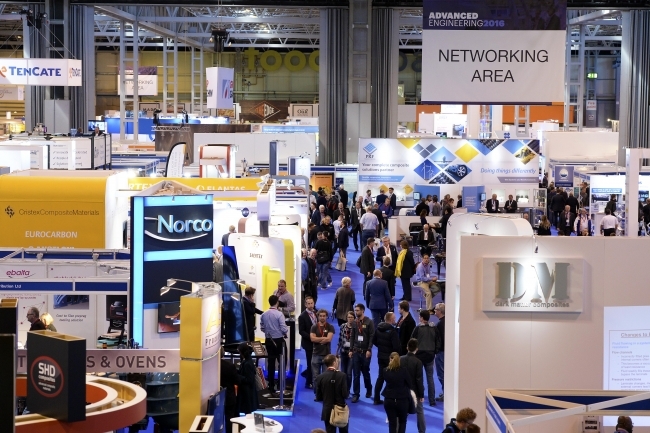 Also new for this year, the Show is excited to be supporting UK contractors by introducing a dedicated area on its show floor – the UK Contract Manufacturing zone. The UK subcontractor is facing growing competition from overseas presence and there is now a need more than ever, for the UK market to have the best platform to showcase these businesses. In order to support British industry, Advanced Engineering 2018 has initiated this dedicated and focused area.